WARSAW, 16 November 2018 – As the OSCE Office for Democratic Institutions and Human Rights (ODIHR) released its hate crime data for 2017 today, on the International Day for Tolerance, ODIHR Director Ingibjörg Sólrún Gísladóttir called on OSCE participating States to strengthen their efforts to counter hate crime. The 2017 data, published on ODIHR’s dedicated hate crime reporting website, contain information provided by participating States, civil society and international organizations. This includes official data reported by 39 states, including disaggregated official hate crime statistics for 23 countries. These are complemented by information on hate incidents in 47 participating States, as reported by 124 civil society groups, the Office of the UN High Commissioner for Refugees, the International Organization for Migration and OSCE field operations. "Our data show that the quality of the information provided to us by countries is improving, along with their ability to generate detailed statistics. However, much remains to be done. This is why I call on states to meet their commitments on hate crime, in close co-operation with ODIHR. 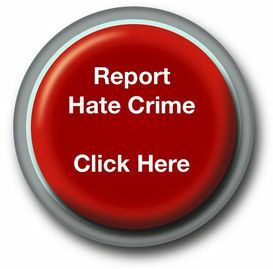 We have developed a host of programmes to help ensure a comprehensive approach to hate crime and stand ready to assist states with implementation," Gísladóttir said. The data were presented to national points of contact on hate crime, who are public officials responsible for reporting hate crime data to ODIHR, during an annual meeting held on 15 and 16 November in Vienna. Participants were introduced to ODIHR’s data collection assistance programme Information Against Hate Crimes Toolkit (INFAHCT), as well as other tools recently published by ODIHR as part of a two-year project on defining a comprehensive approach to counter hate crime.